A song by Turkey’s Selda Bağcan features on Compton – the new chart-topping Hip Hop album by Dr Dre that was released worldwide earlier this month. The superstar producer samples the psychedelic guitar riffs from Bağcan’s 1976 classic İnce İnce for Issues, which features Ice Cube, Dem Jointz and Anderson Paak. 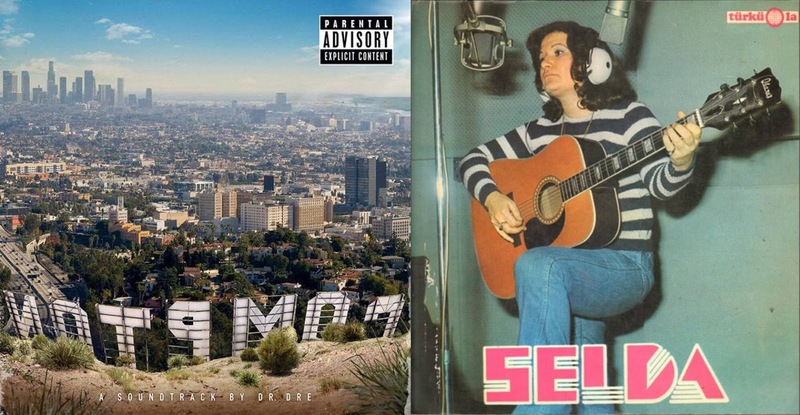 It’s the eighth of 16 songs on Compton that has so far topped the album charts in ten countries, including Britain, Holland and the USA. Dr Dre says he was inspired to make Compton during the filming of Straight Outta Compton, a biopic that charts the rise and fall of his former band N.W.A. The seminal 1980s Gangsta Rap outfit, whose hits included F*ck the Police and 100 Miles and Runnin, propelled Dre, Ice Cube and Eazy-E into the musical mainstream. 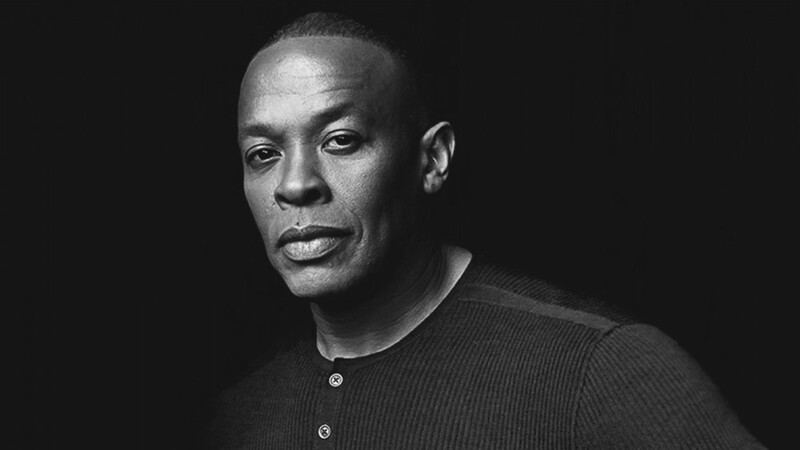 Regarded as one of the icons of Hip Hop, Dre has become one of the most sought-after producers, launching the careers of Eminem, Snoop Dogg and 50 Cent. An astute businessman, he also developed global audio brand Beats Electronics, which he sold to Apple in 2014 for $3 billion. Dr Dre, who first found fame as a member of seminal rap band N.W.A. It’s not the first time the music of the Turkish Folk and Blues singer has been sampled. In 2009, another Hip Hop star and Muslim convert, Mos Def (aka Yaasin Bey), also used İnce İnce for his song Supermagic, which was the opening title of his critically acclaimed album The Ecstatic. İnce İnce was first released on Bağcan’s album Selda (2) on the Türküola label in 1976. She adapted the lyrics penned by Aşık Mahzuni Serif, a popular Alevi folk musician, composer and poet. The song highlights the plight of the poor in Turkey, particular those in the country’s East, and pleads for help. 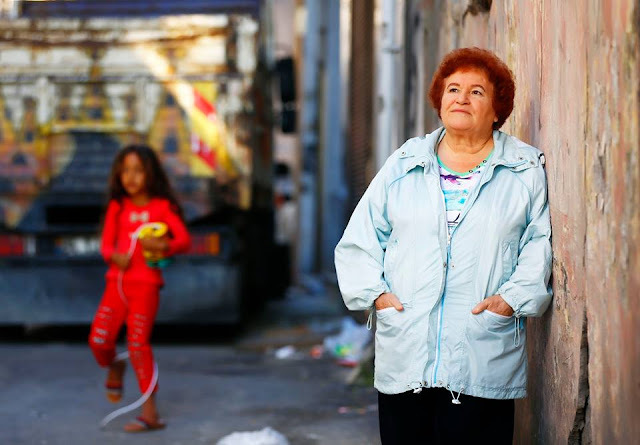 A recording artist for 44 years, Selda Bağcan continues to perform across Turkey and abroad. An important figure in Turkish protest music, her lyrics and desire to champion the rights of the poor frequently landed her in jail between the 1960s and 1980s. Undeterred, the multi-instrumentalist singer-songwriter has produced some of Turkey’s most memorable Folk songs, experimenting with a wide-range of sounds from Rock and Roll, to Psychedelic Folk and Electronica. An Irishman on holiday in Turkey has become an internet sensation after he inadvertently ended up in the centre of a huge brawl in Aksaray, central Istanbul. The middle-aged man managed to keep a score of men at bay as they rushed to attack him for no good reason. The incident, which took place at the beginning of August, was captured on CCTV and shows the tourist visiting a local shop to buy a bottle of water. As he pulls open the well-stocked fridge, lots of bottles accidently fall out. An angry shopkeeper, armed with a wooden bat, then strikes the tourist, who hits back. Very quickly the fight spills on to the street and escalates. In shocking scenes, other shopkeepers and local men, some with poles, stools and other blunt items, try to attack the unarmed tourist, said to be a professional boxer. 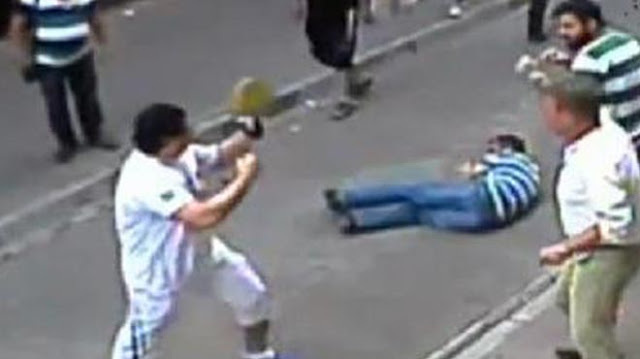 In the ensuing fight, the plucky tourist takes all the hits in his stride, and punches and kicks his attackers back, flooring one man with a single punch. The Turk is seen staggering away, with Turkish TV reporting that he lost two teeth following the punch. According to a news report by Show TV, following the fight the tourist and the local men visited a local police station where they each made a complaint about the behaviour of the other. Since being made public a few days ago, the two-and-half-minute footage of the fight has been widely broadcast on Turkish TV and reposted by tens of thousands on social media. Turks have universally criticised the tourist’s attackers for their shocking behaviour, many claiming they had ‘shamed Turkey’, while others praised the bravery of the Irishman, dubbing him a 'hero'. Contrary to what the title of the film suggests, this is a fairly light Turkish comedy-drama about two thirty-something friends who fall in love with the same girl. Adapted from Barış Bıçakçı’s novel of the same name, the love triangle is set in snowy Ankara. Best friends since high school, the bespectacled Ender (İlker Aksum) and gentle giant Çetin (Fatih Al) are flatmates living in Ender’s spacious downtown pad. Life is going great until their friend, Fikret (Taner Birsel), over from Germany on holiday, is involved in a car crash, which kills his parents and injures him. After the funeral, Fikret informs his friends that he has to return to Germany for treatment and asks them to take care of his younger sister, Ankara University student Nihal (Güneş Sayın), who is highly traumatised by the loss of her parents. Doing the decent thing, the chaps say yes, only to find their bachelor lifestyle is now at risk with the permanent presence of a woman. More significantly, before long the two friends find they are both falling in love with the beautiful and charming young woman, which threatens to tear apart their bromance. Released in 2011, Our Grand Despair / Bizim Buyuk Caresizligimiz is directed by Seyfi Teoman, who tragically died in a motorbike accident in 2012. The talented young Turkish director shot to fame in 2008 with his award-winning debut feature film Summer Book / Tatil Kitabı. 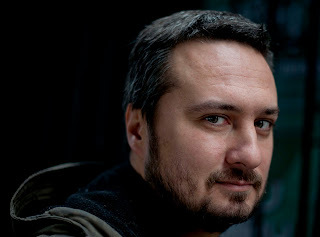 While not receiving the same level of critical acclaim as his debut film, Teoman’s follow-up feature Our Grand Despair won the Best Film and Critics Award in the Turkish/German category at the Nuremberg Film Festival, and picked up three awards, including Best Cinematography and the People’s Choice, at the Istanbul Film Festival in 2011. 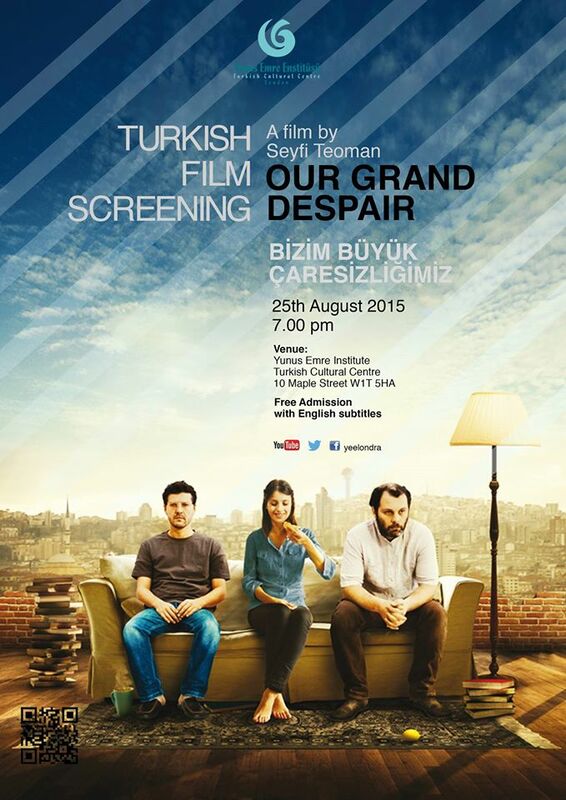 You can see Teoman’s final film for free at the Yunus Emre Turkish Cultural Centre in London on Tuesday evening. A creamy, new date butter created by a talented young Turkish Cypriot chef is being launched at Selfridges. From today, Selin Kiazim’s luxury Medjool Date Butter will be available for purchase exclusively from the department store’s Food Hall. The Medjool is the 'king of the dates'. The date (or hurma in Turkish) is one of the oldest cultivated fruits in the world, with references dating back to 4,000 BC. 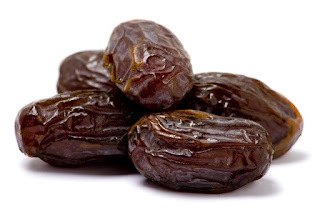 The Koran calls it one of the ‘fruits of paradise’ and many Muslims break their daily 30-day Ramazan fast with a date. Soft, sweet and sticky with a rich, caramel-like flavour, the Medjool variety grows in the Middle East and has long been regarded as the ‘king of the dates’. 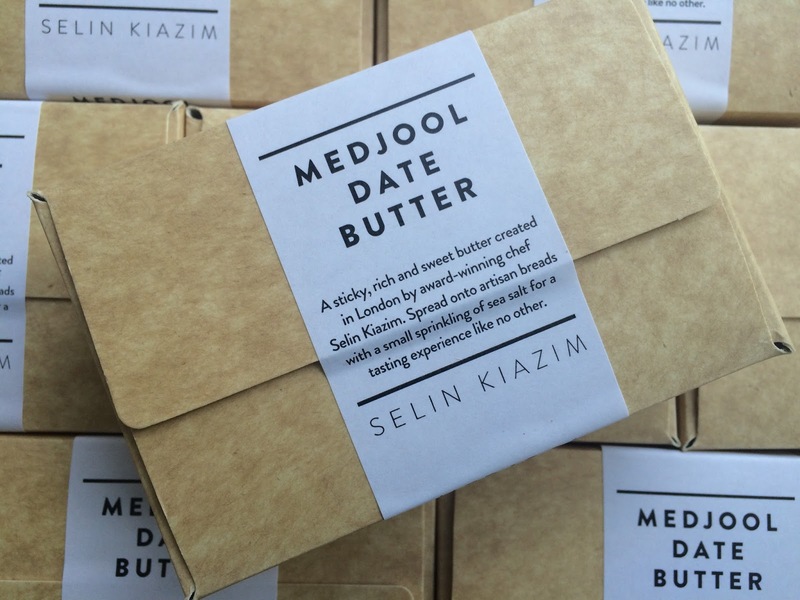 Selin has been using it in her own date butter recipe, served at her pop-up restaurants with diners going wild for it. After six months of hard work, the award-winning chef has created a take-away variety of her delicious butter, which she advises should be “spread on artisan breads with a light sprinkling of sea salt for a tasting experience like no other”. Selin will be at the Selfridges Food Hall between midday and 4pm today and tomorrow, 20th and 21st August, to hand out tastings, so do go and say hello if you are in the area. Widely tipped as “one of London’s hottest up-and-coming chefs”, the 24-year-old is gearing up to opening her new restaurant Oklava in London later this year. Every year many hundreds of British travellers unwittingly catch malaria. In some cases, if the disease is not diagnosed and treated promptly, it can be fatal. A single bite is all it takes to become infected. Malaria is a parasitic disease. The parasite, known as plasmodium, is transmitted by a female anopheles mosquito biting its host, which allows the parasite to pass into the blood stream. There are many types of plasmodia parasite, but only five are known to cause malaria in humans. 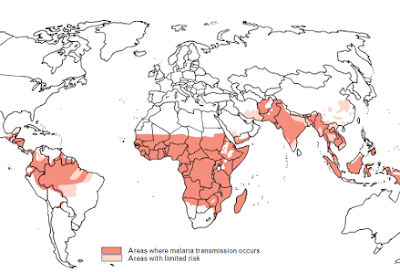 The risk of contracting malaria varies greatly and depends on the area visited. The disease is found in more than 100 countries, including in eastern parts of Turkey, although it is most common in tropical regions across Africa, Asia, Central and South America, the Middle East, and on some Caribbean and Pacific islands. According to the 2013 World Malaria Report, published by the World Health Organization (WHO), there were 207 million cases of malaria in 2012, which resulted in 627,000 deaths. Malaria is not found in the UK, although in 2012 some 1,400 travellers were diagnosed with the disease after returning to Britain from endemic areas. Two people died. Symptoms of the disease usually appear 10-15 days after you are bitten. However, depending on the type of parasite you are infected with, it can take up to a year for these to show. 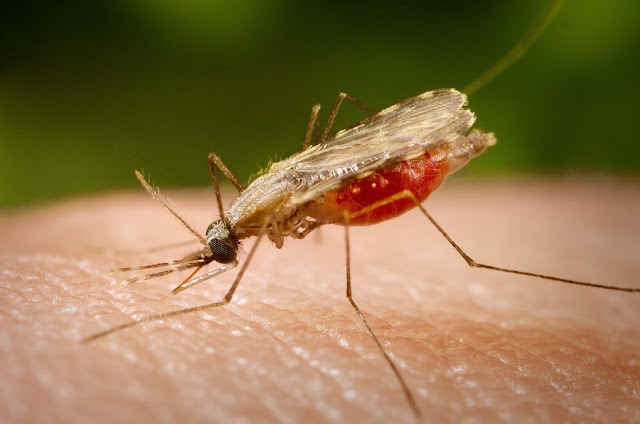 Prevention is better than cure and the two best ways to protect yourself from malaria is by using a suitable anti-malaria drug and by avoiding mosquito bites. In the UK, some anti-malarial tablets, such as chloroquine and proguanil, can be bought over the counter at your local pharmacy. All others must be prescribed by your doctor. The type, dosage and usage will depend on which endemic area you will be visiting. Talk to your pharmacist or doctor about where you are travelling and your general wellbeing, so they can determine which medication is best for you. They will also be able to advise on possible side-effects; these may be too strong for certain individuals to tolerate. Anti-malaria tablets must be taken at least one week before departure, during the stay in the epidemic area and for four weeks after leaving the area, to cover the incubation period of the disease. No medicine is 100% effective, but they will significantly boost your levels of protection. 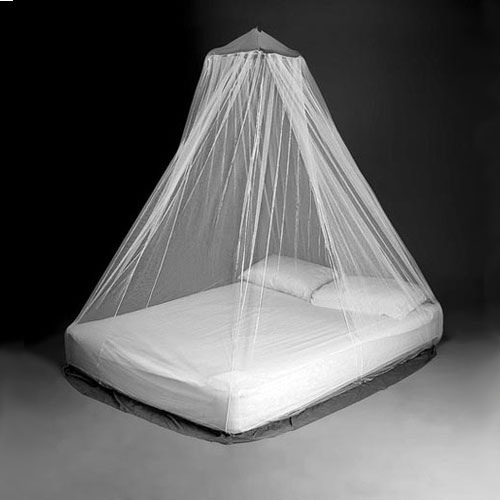 Mosquito nets offer great protection at night. · Ideally, stay somewhere with effective air conditioning and screening on doors and windows. If this is not possible, try to stay somewhere with doors and windows that close. · If you are not sleeping in an air-conditioned room or if the air-conditioning is not effective, you must sleep under an intact mosquito net that has been treated with insecticide. · Use insect repellent on your skin and in sleeping environments. Remember to reapply frequently. · The most effective repellents contain diethyltoluamide (DEET) and are available in sprays, roll-ons, sticks and creams. · Wear light, loose-fitting trousers, rather than shorts, and shirts that have long sleeves. This is particularly important during early evening and at night, as this is the mosquito’s preferred feeding time. For more information, visit international malaria charity IAMAT or Fit For Travel – the NHS’s online portal for people travelling abroad, which allows you to look up travel advice for specific destinations as well as details on overseas diseases. 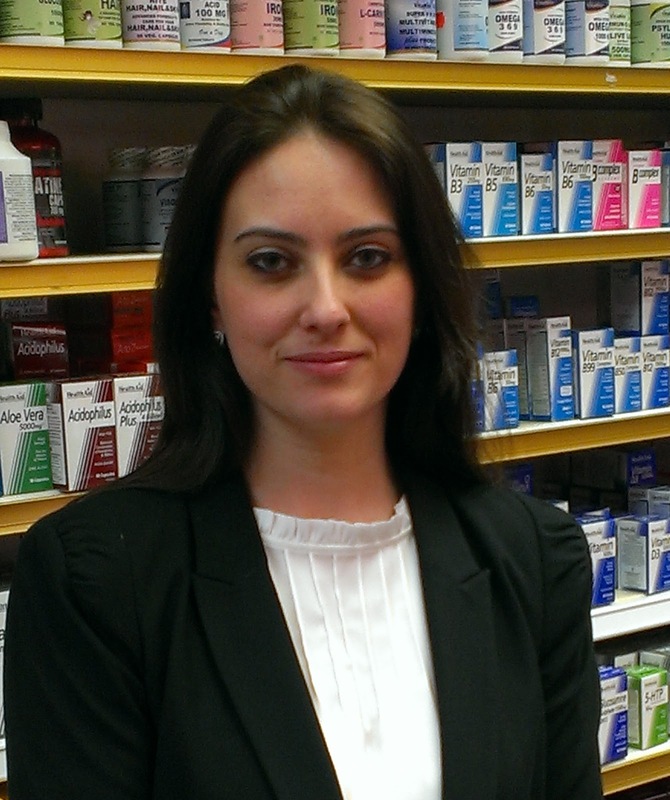 Feriha and her colleagues at Woodside Pharmacies can help you to purchase appropriate anti-malaria tablets and insect repellents for you to enjoy your holiday. For further information about their services, and for local residents their free prescription collection and delivery service, please call in, telephone or email. 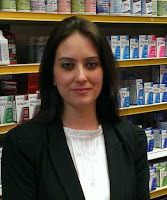 About the author: Feriha İbrahim is a fully qualified pharmacist who, together with her family, runs Woodside Pharmacy – both branches are located in Leytonstone, London E11. 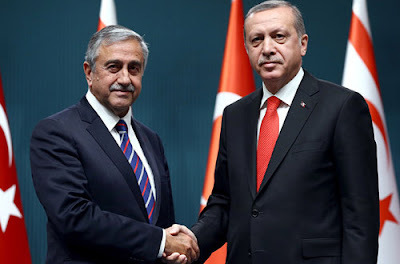 With history breathing down his neck, the TRNC President Akıncı clearly realises a change of tactic is needed if he is to slice through the Gordian Knot of the Cyprus Problem. His statement on July 2nd in Brussels, repeated during his ‘100 Days in Office’ press conference in Lefkoşa on Tuesday, 11th August, that problems between the two communities could be solved "within months ", shows optimism and an ability to deal with the circus the Talks have now become. Indeed, he intends to talk to the UN General Secretary Ban Ki Moon at the UN ringside next month. But what tangible results have there been since Mustafa Akıncı took office on 1st May 2015? Even before he had taken formally taken office, the newly elected President was involved in a spat with the formidable Recep Tayyip Erdoğan. Following his election victory on 26 April with 60% of the second-round vote, Akıncı talked of two ‘brotherly states’ and creating a new relationship with Turkey based on more equal terms. A furious Erdoğan lambasted Akıncı, maintaining the relationship between Turkey and the TRNC would remain that of a ‘mother and infant’. 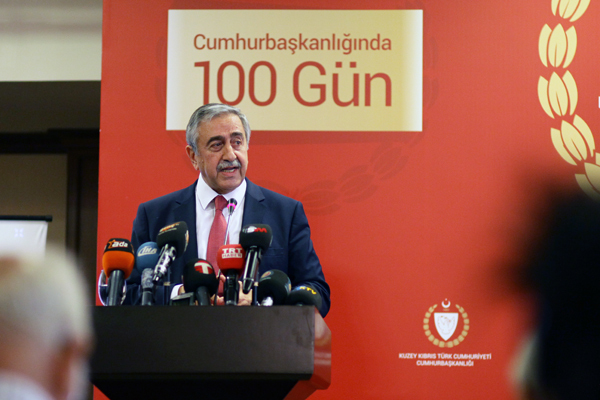 The term is regarded as patronising by many Turkish Cypriots, who voiced their support for Akıncı. The newly elected leader calmly stood his ground, telling Turkish reporters it was time for the “TRNC baby to grow up”. All tensions had eased by the time the TRNC President made his first official visit to Ankara where he met President Erdoğan on 6th May. Indeed, since then both Akıncı and his Foreign Minister Emine Çolak have stressed that Turkey is committed to a solution, which is being ‘helpfully quiet’ during the early stages of the resumed talks. Creating a positive atmosphere between the two sides has been a priority for Akıncı and one of his first actions was to lift visa restrictions for Cypriots at the Green Line checkpoints. The visa procedure, in place since the borders opened in April 2003, was a simply formality of TRNC police checking ID documents and issuing a stamp on a separate piece of paper. Yet many Greek Cypriots had refused to cross because they saw the process as tantamount to accepting the island’s division and the separate authority of the TRNC. Since this procedure was scrapped on 16th May, the number of Greek Cypriots crossing has increased by 3,000 in July. 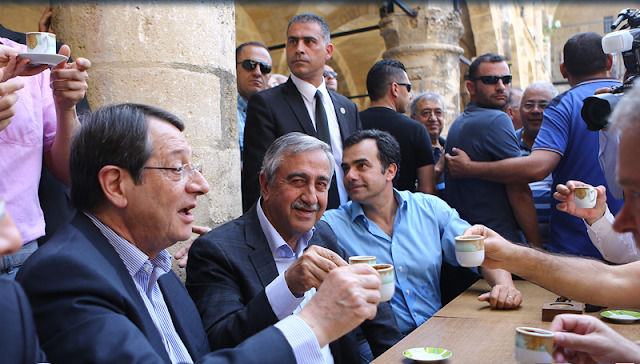 On May 23rd, the TRNC President met his Greek Cypriot counterpart, Nicos Anastasiades at the Ledra Street checkpoint and the two leaders went on a walkabout of Old Nicosia. They strolled around the streets on both sides of the divide meeting locals and shopkeepers, having a coffee in the Büyük Han on the Turkish side, and a drink in a café-bar in the South. The photo of the two leaders happily chatting away over coffee became a global news story. Concentrating on building a spirit of co-operation, Akıncı and Anastasiades have made substantive progressive on several other areas too. They’ve undertaken moves to open more border crossings, and agreed to connect the north and south's electricity grids and mobile networks, so the two systems can work seamlessly island-wide. 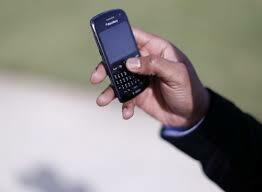 There’s also to be co-operation in the allocation of radio frequencies, so broadcasts can be transmitted across Cyprus without encountering interference. In July, there was an important breakthrough on the Hellim issue, brokered by European Commission President Jean-Claude Juncker. 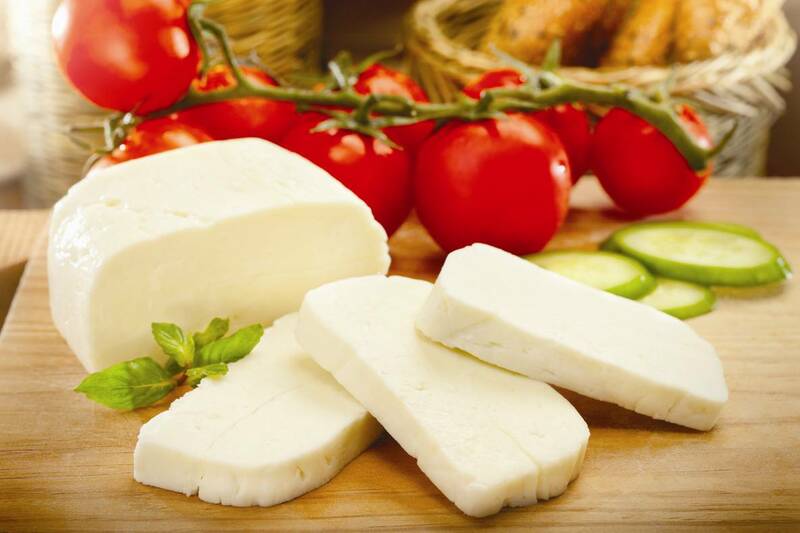 The Greek Cypriots had unilaterally applied for a PDO (Protected Designations of Origin) for traditional Cypriot cheese, deliberately freezing out Turkish Cypriot producers. The North had lobbied the EU vigorously not to progress with the PDO application, claiming it would be unlawful for the EU to do so until their concerns were addressed. During his visit to Brussels at the end of June, Akıncı raised the issue when he met with the heads of three major EU institutions, including Juncker and European Parliament President Martin Schulz. In a follow-up visit to Cyprus in mid-July, Junker announced that he had agreed a formula with the two Cypriot leaders that overcame the issues raised by Turkish Cypriots. The PDO, now in the final consultation phase, is set to include the Turkish north and also allow its producers to sell hellim in Europe by amending the existing Green Line Regulation. His statement came on the 41st anniversary of Turkey’s intervention – celebrated in the Turkish north as ‘Peace and Freedom Day’, while across the border it is commemorated as a dark and tragic day in Cyprus’ history. 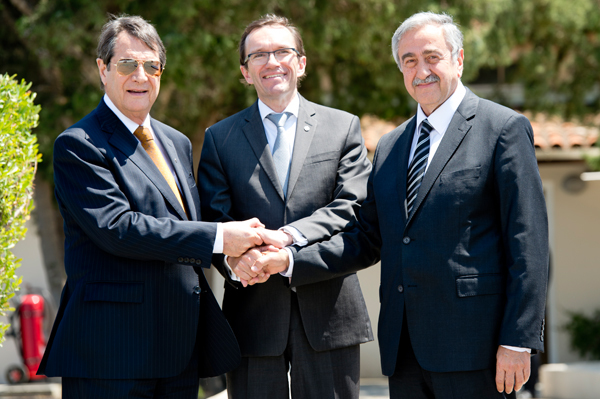 The resumed talks have dominated media reports in Cyprus, with the two leaders meeting seven times since 15th May. There have been broad-brush references to power-sharing and governance, a new land and property deal, the position of Evkaf lands, and more (unspecified) Confidence Building Measures. But precious little detail so far. The new consensus seems to be to park contentious topics such as territory, the guarantees, and oil and gas, to a later date when such details can be solved amicably: "I do not expect any problems to come up over oil during the negotiations,” the President said at his press conference on Tuesday. He also remarked on how Greek Cypriots have been changing their mentality: “If we continue with the same determination, then I believe a solution to the problem could be found within months, not years”. The knack, as ever, will be to win over Greek Cypriot hardliners without bargaining away too much and frightening the folks back home. We watch with continued fascination as President Akıncı navigates his way round the three declared pinnacles of his policy – liberty, equality and security. 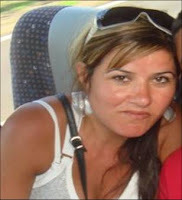 A former chairwoman of one of London’s biggest Turkish schools has been convicted of stealing £1,965. Zehra Suleyman, who headed Blackfen Turkish School for six years, was tried at the Inner London Crown Court in July and found guilty of two charges of theft from the school during 2010 and 2011. Another charge was dropped and she was found not guilty of a fourth. 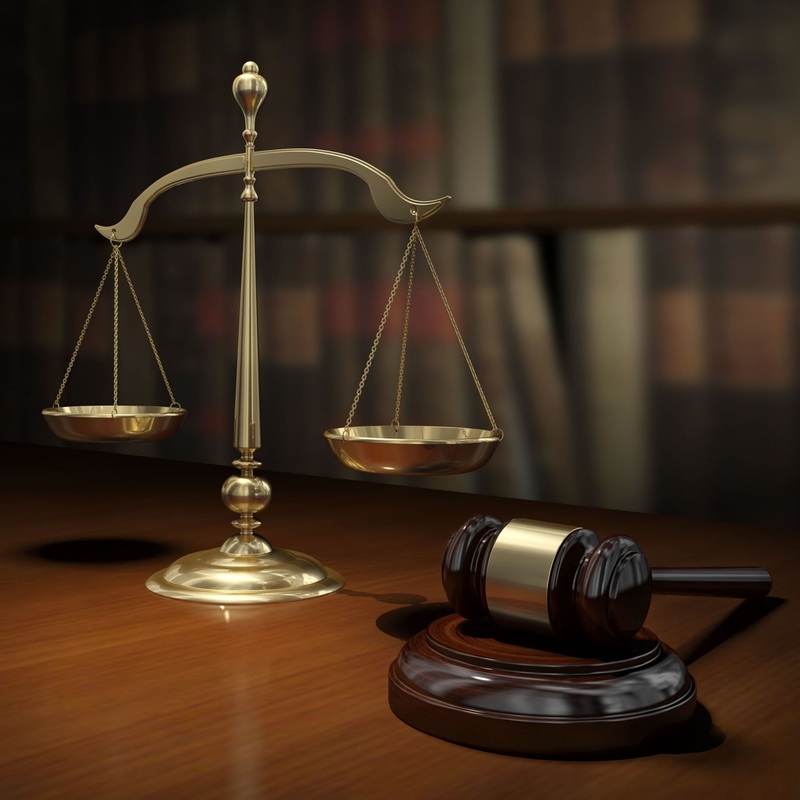 According to local news reports, Suleyman, from Chislehurst and the owner of Zara Hair and Beauty Salon in Petts Wood, Kent, was sentenced on Monday 3rd August to six months in prison, suspended for 12 months. The 48-year-old was ordered to pay £180 compensation and £3,500 prosecution costs. Listed as a charity, the Blackfen Turkish School is based at the Blackfen School for Girls in Sidcup, Kent. First established in 1997 and initially managed by the Bexley Türkçe Konuşanlar Derneği (Bexley Association of Turkish Speakers), the school offers weekend classes to students aged between six and 18 years old. A popular member of the local Turkish community, Zehra Suleyman became the school’s chair in 2007-2008 and remained in the role until 2013. During that time, the school’s pupil intake grew. 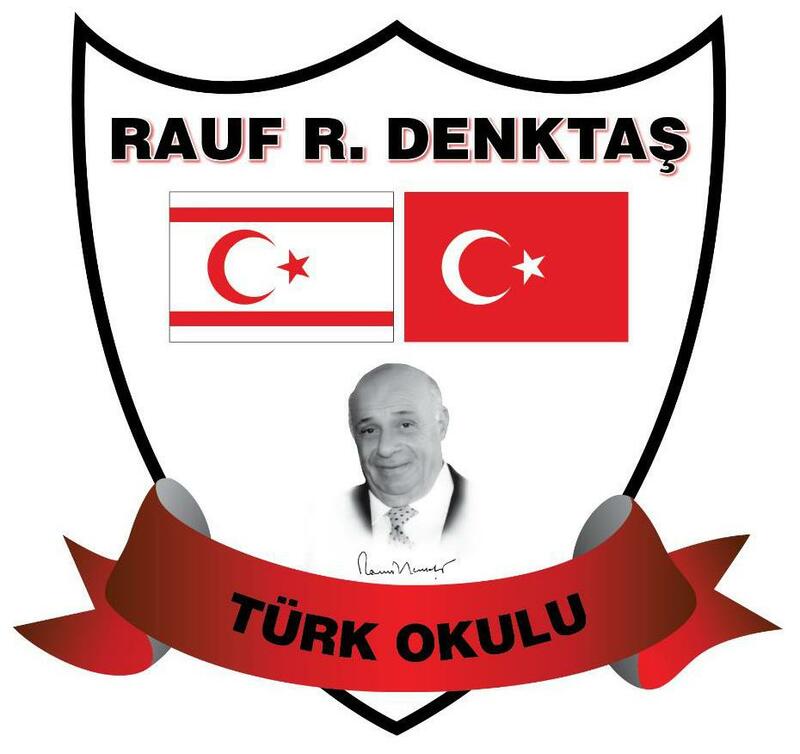 It currently has 120 students enrolled, making Blackfen (recently renamed the Rauf Raif Denktaş Turkish School) one of the largest Turkish schools in London. Each pupil pays £80 per year to attend the school. Together with sponsorship and fundraising, Blackfen’s annual turnover is in excess of £15,000. Financial discrepancies were first spotted when a new chair, Elmaz Dourmoush, was voted onto the 9-person school committee in 2013. 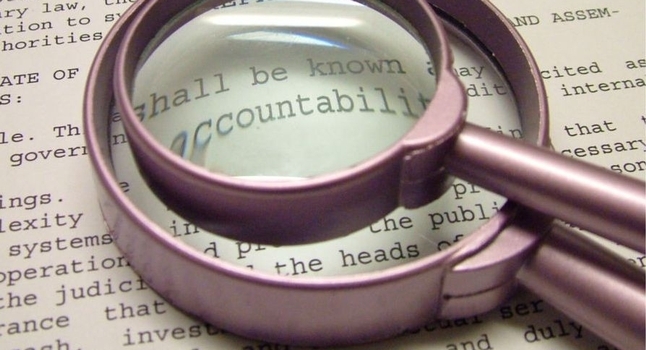 Trying to bring records up-to-date, the new team discovered that Blackfen’s annual accounts had not been posted to The Charity Commission for a number of years. A local accountancy firm, which does pro bono work for the school, informed the new chair and school trustees that contrary to their best efforts, they had not been able to obtain important details about its expenses. The bank statements had thrown up many unusual items for a school, including cash withdrawals during holiday periods and at locations such as Mecca Bingo Halls. Even with repeated requests, the former chair did not provide any explanations, rendering it impossible for them to complete year-end accounts. Zehra Suleyman was invited to account for the irregular transactions by the school’s committee, but declined on each occasion. Eventually, the committee took the matter to the police, who uncovered sufficient evidence to merit a prosecution. One of the charges Suleyman was convicted of related to an account in her name set up with Sun Bingo, where she used school funds to pay for games. The other guilty verdict related to Suleyman using school funds to pay off a debt company. £1,775 was transferred from the school’s account and when the amount was queried, Suleyman told the committee some form of fraud must have taken place and that she would report the matter to the bank, which she duly did. The full amount was refunded to the school. However, once the police became involved, the fraudulent transfer was traced back to an account in Suleyman’s name. Shocked by the developments, Blackfen Turkish School’s new committee have implemented a more thorough system of financial reporting to minimise the risk of theft in the future. 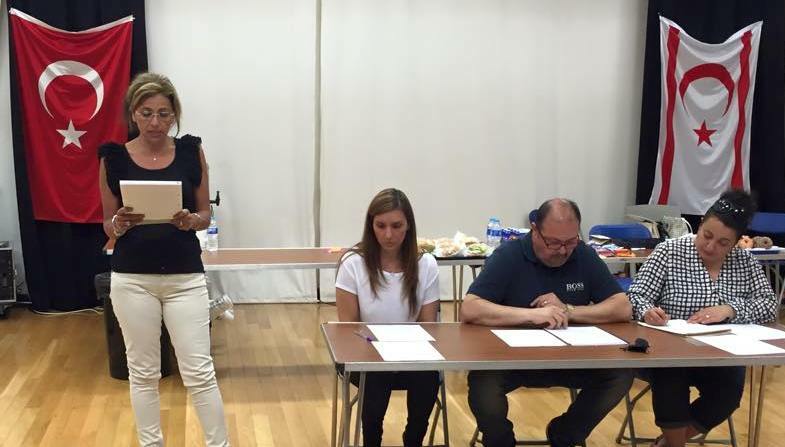 A spokesperson for the school told T-VINE that Blackfen’s debit cards have been cancelled and all statements are now sent to both the chair and the treasurer (previously it was just the chair). Every transaction has to be accounted for, with all relevant receipts presented during the committee’s bi-monthly meetings. There are also new strict procedures for handling school cash, with witnesses required to note the amounts taken and signed receipts issued by the Treasurer for all monies taken to be banked in the school's account. 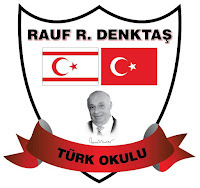 The misappropriation of funds from Blackfen Turkish School is not new to the British Turkish community, although it is a first that someone has been prosecuted. Over the years, suspicions of financial wrong-doing have been raised about many other associations and charitable organisations. One of the most notorious is the Turkish Youth Association in Haringey, whose successful track record in youth work had resulted in a grant of £320,207, awarded by the National Lottery’s Community Fund in June 1996. The money was never properly accounted for by the directors and the company behind TYA was subsequently liquidated. 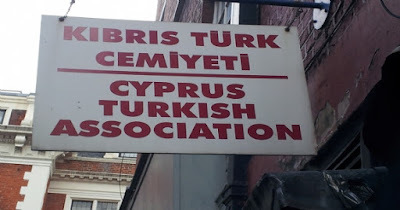 The Kıbrıs Türk Cemiyeti, based in D’arblay Street, Soho, has also long been under the shadow of financial irregularities. Dating back to the 1950s, the D’arblay Street building was once a key hub for the Turkish Cypriot community. Following the outbreak of the Cyprus Conflict in December 1963, it became the centre for disseminating information about missing persons, overseeing aid action and lobbying. The association has seemingly not presented any accounts for some 40 years, yet it has income from membership fees, runs a canteen on the third floor and until recently administered rents for the various occupants in the central London building. Their long-standing chair stepped down in 2013, and the new committee have refused to respond to the community’s repeated concerns about the lack of financial transparency and terms of the lease at this flagship organisation. There were also allegations of financial mismanagement at the UK’s oldest Turkish newspaper, the now defunct Toplum Postası. 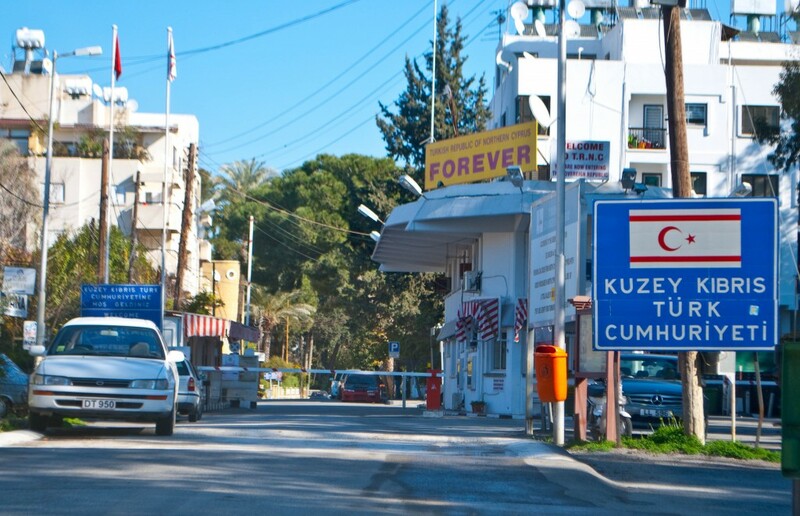 Part of the Turkish Cypriot Community Association (TCCA), which is a registered charity, for years Toplum Postası was said to be in serious financial trouble. 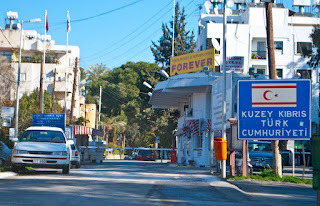 It was finally wound up in 2010, although those close to the paper allege that significant sums received from advertisers in North Cyprus were never properly accounted for. Opera became one of the most popular art forms in Constantinople (Istanbul) in the nineteenth century. International troupes would regularly perform in venues packed with city-dwellers, mainly from the Empire’s minority communities. Constantinople soon became one of Europe’s top destinations for opera productions. Verdi’s Il Trovatore was performed there before it was staged in Paris. Some operas were so popular they were performed at several theatres on the same evening, such as Aida, which had three productions running simultaneously on 8 July 1899. 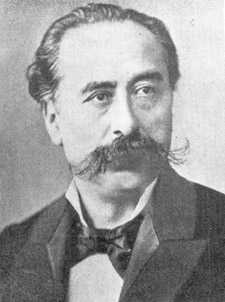 Born in Constantinople in 1837 and of Armenian heritage, Dikran Tchouhadjian is considered the first opera composer in the Ottoman Empire. Known in his lifetime as ‘the Armenian Verdi’ and ‘the Oriental Offenbach’, he fused European and Eastern traditions to pioneer a thrilling new musical style. Keen to promote Armenian culture, he composed many pieces for piano, along with chamber and symphonic works, and operas. Tchouhadjian is also credited as composing the first original opera in Turkish, Arifin Hilesi (Arif's Deception) in 1872. This weekend, as part of its annual Grimeborn opera season, the Arcola Theatre stages Gariné, commemorating the 140th anniversary of this impressive work. Since its composition in Turkish as Leblebici Horhor Ağa (Master Hor Hor the Chickpea Vendor) in 1875, Gariné has been adapted three times for film, including by Nazim Hikmet, delighting audiences all over Europe and the Middle East. The story centres on Armen, who dreamed of creating the first great theatre company in Constantinople. But on opening night, disaster – his leading actress defects to a rival troupe. Everything seems over until Gariné arrives on the scene. Armen is inflamed with passion for her voice, but her father detests the theatre. Can she be persuaded to defy him and to sing on opening night? Will it be Gariné that saves the day? 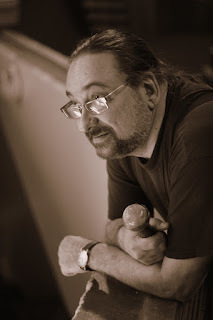 Gerald Papasian directs a variation of his own adaptation that was previously performed at the Theatre of Saint-Maur, Paris, and the Theatre de L'Odeon, Marseille. Combining both Armenian and Turkish elements, this rare London production – playing for two nights only – will mark Tchouhadjian's extraordinary contribution to Turkish and Armenian opera. Info & tickets: Seats are allocated.